Coming from the land of Windows Forms, I have grown addicted to having tools like wfSpy and Hawkeye. A software engineer at the presentation layer needs to have tools like these in order to inspect the objects in a running application and change properties on the fly. 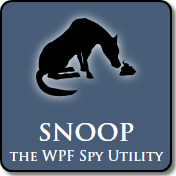 Very soon after jumping in head first into WPF, I discovered Pete Blois’ utility: Snoop. It was definitely what I was looking for. Unfortunately, after playing with it for a while, I learned that it didn’t support our WPF interop scenario. In particular, our application is a Windows Forms application that is hosting WPF content through ElementHost. When you use ElementHost, you don’t have an Application object and Snoop coughs up a hairball because of that. After that, Josh Smith created Woodstock and Mole soon followed. These are both debugger visualizers, and in particular, Mole is extremely nice and powerful. The Achilles tendon of debugger visualizers, however, is that you have to be running in the Visual Studio debugger. There are many cases where you can’t or don’t want to do this. Josh Smith realized this and has created Crack.NET. This is a heap walker in the vein of Snoop and Mole … but it can be run outside of the debugger. It is a useful tool in its own right, and of particular note, you can modify the object you’ve ‘cracked’ using IronPython in the tool’s Scriptorium area. However, even given the above, I was still missing the functionality of good, old wfSpy. Snoop was very close to what I wanted, it just didn’t handle the WPF interop story. So, after reading this post in the WPF forums, I finally broke down, dove into the source code and figured out why. It was rather easy to fix, actually, and here is what I had to do. After those two changes, you can Snoop WPF content hosted in a Windows Forms application through ElementHost. Do I hear a ‘hallelujah’? However, this doesn’t seem to fix it completely when you are running in a WPF interop scenario … because there is still an issue to find and fix. Namely, you can’t use the keyboard to modify the property values. However, I have discovered that you can paste a value in using the clipboard. If you find out how to fix this, please let me know. Mark also has fixes for a couple other items. One takes care of an issue when the nesting gets too deep and another is a fix for popping the context after you ‘delve’ in on something. I hope this helps someone. I personally am happy to the point of tears that I will now be able to Snoop our application! I have found the keyboard issue and have fixed it. I have also uncovered a couple other changes that you need to make. For example, the Previewer wasn’t working. See my next blog post for details. Ok, I just have to give a shout out to one of the best tools out there for authoring loose xaml. And, if the logo didn’t give it away … it’s Robby Ingebretsen’s Kaxaml tool. It is available here for download … free of charge! It’s been out for quite some time … so the purpose of this blog post is really to just publicly thank him for making such an awesome tool … one, in fact, that I don’t leave home without. Recently, I have been composing Haikus … just because a tool like this … deserves poetry … and poetry better than mine! Bonus: Robby recently recorded several videos that will bring you up to Kaxaml power user status in a matter of minutes. Check them out. Ok, let me first say that Dr. WPF is my hero. Not just because of his WPF snippet library. But especially because of his community involvement in the WPF forum. 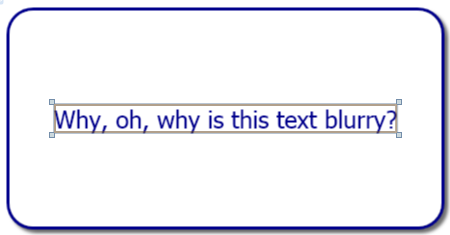 Today, I was wracking my brain against a problem that I’ve never run into before and … and it was Dr. WPF to the rescue (via the forum). I have a custom control that I was retemplating with a fancy, schmancy template. This ControlTemplate had a Resources section where I had a couple Storyboards which were targeting items in the visual tree of the fancy template. I was also launching this Storyboard from the code for the custom control. However for some reason, it couldn’t resolve the Storyboard.TargetName(s). It kept coming back with the error: ‘<Storyboard.TargetName>’ name cannot be found in the name scope of ‘<Namespace.CustomControl>’. After some research: here, here, and here … I stumbled across Dr. WPF’s forum answer on the matter. That led me to look very closely at how I was calling the Begin on the Storyboard. 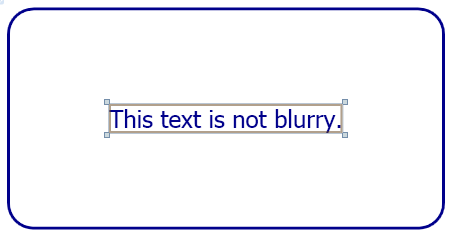 However, looking closer at the documentation on the parameter it says: An object contained within the same name scope as the targets of this Storyboard’s animations. Ah, ha! After that, all I had to do was grab one of the elements in the visual tree (_button in the above code snippet) and pass that to the Begin method (whereas before I was just passing the custom control instance in, the ‘this’ in the first code snippet above). And all of this is due to a friendly answer by the good doctor. I think there is another and better way to solve this problem. Check out this question/answer on StackOverflow. Bascially, there is an overload to the Begin method that lets you send in the control template. Nice. Don’t know how I missed that overload.